Rome is a hub of culture, commerce, beauty and history. What with the Colosseum, the Forum, The Vatican and the constant drone of tourists mixed with locals and street vendors selling, or trying to sell, umbrellas or sunglasses or something else depending on the latest weather turn, everything about Italy’s capital city is infused with an inescapable sense of importance. And the grand past and the hurried present and the religious constant all come together in one magnificent arena: the Stadio Olimpico. 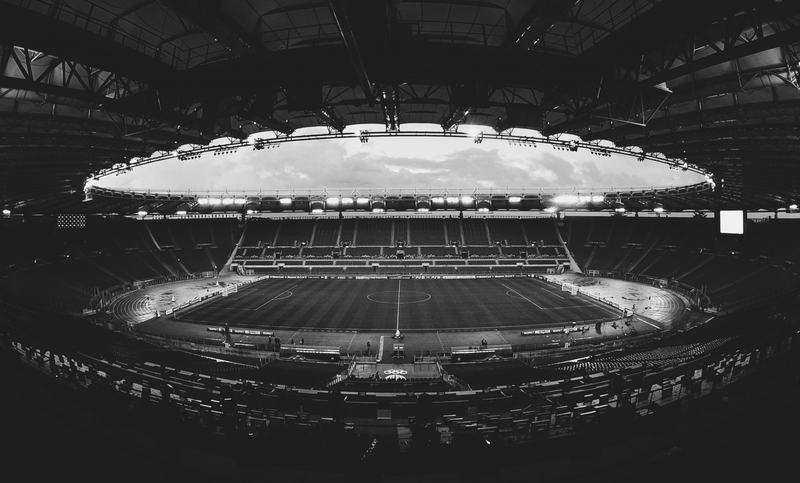 The stadium is home to two teams of distinctly separate identities, bound only by location. The teams’ togetherness is a purely physical one; in spirit they couldn’t wish to be further apart. In theory, both should win things regularly. They are based in Rome, after all. Yet while the city is an epicentre and one of the first places that spring to mind when foreigners seek to visit the peninsula, its football has been sorely lacking in the sort of achievement seen elsewhere. Roma and Lazio, or Lazio and Roma depending on your allegiances, have never had eras of their own. Indeed, when Italian football first came to dominate the continent in the 1960s, neither side won a single Scudetto. Instead, the decade belonged to Milan and, to a lesser extent, to Turin, as AC Milan, Internazionale and Juventus won at home and abroad. The same thing so nearly happened again in calcio’s next defining period. Serie A was home to the world’s finest players and teams throughout the Football Italia years, but Milan and Juventus almost established an unassailable monopoly. 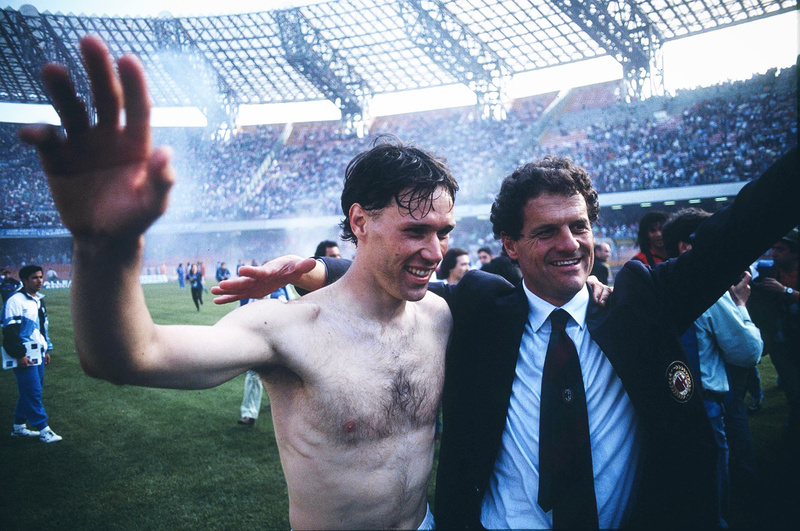 Between the early 1990s and 2000s, both behemoths claimed four Scudetti apiece. But, during a brief yet wonderful intermission, the title made two separate trips to Rome. It was a short, sensational revival; the first and only time in history that the championship had belonged to the capital for two successive years. Zdenek Zeman has a habit of inflicting his idealism upon the football teams he coaches. It’s something unmistakable romantic and exciting, though trophies have only followed suit on exceptionally rare occasions. The rational course of action is not one that appeals to the Czech. Naturally, with his combining a wilful neglect of silverware with a pursuit of footballing pleasure, he would take the reins at both Lazio and Roma during the 1990s. When Zeman left Foggia for Lazio in 1994, his tactical ambition was only matched by the financial ambition of his new president. Sergio Cragnotti had invested good money in Lazio’s playing squad and would continue to do so throughout the decade. The coach and the owner had different aims; the former wanted beautiful football, the latter spectacular results. They achieved both simultaneously. Zeman’s first season in charge saw Lazio score more goals than anyone else in Serie A. They destroyed reigning champions Milan at home, took apart eventual champions Juventus in Turin, and dismantled Inter twice. Just as the goals flowed, the results came in. A second-place finish acted as a sort of temporal vindication both of Zeman’s method and Cragnotti’s spending, but that was as good as it got. Over the following two years the number in the ‘goals for’ column slipped and the points tally fell. Second place became third place became fourth place. A parting of ways ensued. Zeman was fired midway through his third term but didn’t move far. Two years with Roma wrought similar results. Under Zeman, the Giallorossi top-scored in Serie A in both 1997/98 and 1998/99. They also moved up the table in his debut campaign (from 12th to fourth), though in the second season they slipped to sixth. Zeman had once again created exhilarating, offensive play, but there was a desire for more. As is so often the case in football, his idealism was lauded and at the same time overlooked. He left Roma just as he had left Lazio, with fond memories but no trophies. And both Roman clubs, perhaps growing evermore aware of the scarcity of silverware coming their way, turned in entirely different directions. “We can count on 1.5 million fans and a broad regional base, which means a lucrative market for our products.” Those were the words of Lazio director Giancarlo Guerra in November 1997. Uninspiring, perhaps, yet they were also hugely significant. Here, Guerra was making the financial case for the club. This was relevant because Lazio, it had been announced, were set to become the first Italian club to be floated on the stock exchange. Cragnotti’s investment wasn’t about to stop, it seemed. And Sven-Göran Eriksson was intrigued by the prospect of utilising said investment. The Swede had been set to join Blackburn Rovers but, three months after agreeing a deal in principle with the Lancashire outfit, opted to remain in Italy instead. Zeman was leaving Lazio, and he would take over. Renowned as a conservative tactician, the Biancocelesti would bear the hallmarks of his pragmatism within a matter of months. Out went Zeman’s 4-3-3 filled with rapid interchanges, fluid movement and constant attack, in came Eriksson’s favoured 4-4-2. Matías Almeyda arrived from Sevilla to add a protective barrier in front of the defence, the Argentine an ominous signal of the greater emphasis on goal prevention on the near horizon. And, as if to reconfirm the change in approach, Beppe Signori, a lucid attacker who had broken through at Foggia under Zeman and top-scored for Lazio for five successive years, was sold to Sampdoria. In Eriksson’s debut campaign at the helm, Lazio achieved their best defensive record in the league in a decade and, while their league position didn’t improve upon the previous year’s fourth, their points total did. Additionally, they reached the UEFA Cup final only to be bested by a Ronaldo-inspired Inter, and ended their long wait for silverware by lifting the Coppa Italia. More success followed in 1998/99 as Eriksson led Lazio to a Cup Winners’ Cup victory with a team increasingly built around functionality rather than flair. Cragnotti’s spending had helped; Marcelo Salas and Christian Vieri provided the brawn needed to cope with the more direct style of play Eriksson sought. The strike duet were comfortable chasing and holding and linking and running, and together they hit 27 league goals as Lazio lost out in their Scudetto bid by one point. However, their partnership was soon broken up. Vieri was sold to Inter for a then world record transfer fee of £32m, but the money was reinvested in the squad. Lazio’s ‘Erikssonisation’ continued with the signature of one-man battalion Diego Simeone and experienced defender Néstor Sensini. But it was the acquisition of another Argentina in Juan Sebastián Verón that many, including the manager himself, viewed as a game-changer. Veron had played under Eriksson at Sampdoria and, in spite of the overarching directness and the functionality and the pragmatism, always felt a great degree of creative license when working for the bespectacled Swede. “Eriksson certainly gave me more chances and more freedom to express myself,” the playmaker would later affirm. The admiration was mutual; Eriksson had reportedly told Cragnotti that, should he sign Veron, he would win Lazio the title. The plan was realised. Lazio’s first league goal of the 1999/2000 season was scored by Veron, the low-socked creative uncharacteristically pummelling in a free-kick in a 2-1 victory over Cagliari. And, while the shackles didn’t come flying off, Eriksson found a way to involve Veron as well as Dejan Stankovic and Pavel Nedvěd on a frequent basis. Verón’s free-kick against Roma later in the season was truer to form. With the score at 1-1, the bald-headed ‘witch’ made the net billow with a lavishly curled strike. It was both beautiful and vital; Lazio won that derby 2-1 and went unbeaten in their final seven Serie A games, including a 1-0 away win over Juventus. It was a run of form that secured the club’s first Scudetto since 1974. Sitting in the opposite dugout to Eriksson for that fateful Derby della Capitale when Verón made the net billow so beautifully was another pragmatist of repute in Fabio Capello, a man whose stiff and unmoving touchline facial expression might well have been carved from granite. Formerly a dogged midfielder, Capello’s menacing stare and jutting jaw forever fail to conceal the inevitable, an oncoming rash of barked orders and frantic hand gestures. He had once been moved to tears while head coach of Milan as Marco van Basten said his goodbyes to an emotional San Siro crowd having been forced out of the game by persistent injury troubles. It remains unclear to this day if Capello was overcome by the galling sight of a prematurely retired icon or by the intimidating prospect of replacing the Dutchman’s annual goals tally. Capello had been compelled to Roma by the prospect of not spending any more of his time on a beach, thinking, as he had done concertedly following his dismissal by Milan after a dismal 1997/98 campaign. 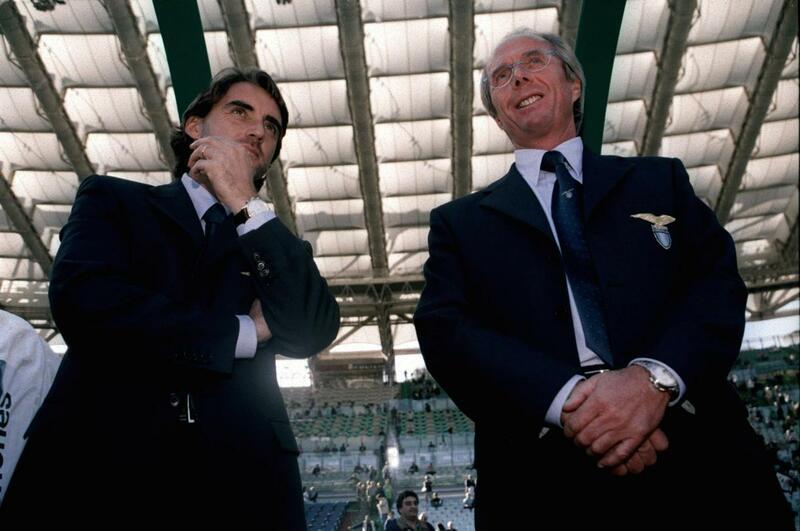 Earlier in the decade he had added devil to the Diavolo, taking Arrigo Sacchi’s side and infusing a greater specialism and efficacy. Several Scudetti and a sublime Champions League final thrashing of Johan Cruyff’s Barcelona followed, but his second spell as Milan coach had been nowhere near as productive. Roma was just the challenge Capello needed, but he had been thwarted in his maiden year as coach by an injury to another Dutch striker. He had wanted Ruud van Nistelrooy, but the player ruptured his anterior cruciate knee ligaments in a training session and any chance of a deal was off. Capello still had quality poachers to work with in Marco Delvecchio and Vincenzo Montella, but it would take until the 2000/01 season for him to find the correct balance of system and individual. One crucial element in Capello’s success as a coach has always been his lack of tactical vanity, and he willingly opted against implementing the 4-4-2 that had worked so well for him at Milan with Roma. Instead, he replaced Zeman’s 4-3-3 with a 3-4-1-2 system that brought Francesco Totti into a more central role behind the strikers, gifting the fantasista greater influence on his team’s play in the final third. This formation also encouraged the rampaging surges of Brazilian right wing-back Cafu, a player whose combination of sensational skill, endless stamina and accurate crossing made him perfect for a more adventurous role. The spine of Capello’s team was strengthened comprehensively in the summer of 2000. Argentine tough nut Walter Samuel added grit and aggression to the defensive line, Brazilian ball-winner Emerson brought dynamism to the midfield, and Gabriel Batistuta, one of the finest strikers of his generation, significantly increased Roma’s goal threat. The raw material was there and Capello’s 3-4-1-2 shape provided a stable base for Totti and his languorous movements. With a wealth of options, Capello had an attacking headache in choosing between Delvecchio and Montella. But, in truly pragmatic fashion, he preferred the former for his industry; the latter’s persistent habit of scoring goals was at best a pesky nuisance and at worst a genuine threat to the team’s stability. As the season wore on, however, even Capello realised that a front three of Montella, Totti and Batistuta could not be stopped, by him or by Roma’s opposition. Title candidates from the beginning, the most important result came away to Juventus on 6 May 2001. The hosts took an early lead through an Alessandro Del Piero header on four minutes. And, two minutes later, their lead was doubled thanks to a lashed Zinedine Zidane drive. There was an air of inevitability about the whole thing, for the Scudetto never stays in Rome, and Lazio had won it the previous season. It took a spectacular drive from Hidetoshi Nakata, on for Totti, on 79 minutes for a comeback to seem possible, but Juventus held firm in their resistance. Then, in injury time, Montella – who had been introduced at half-time for Delvecchio – latched onto a loose ball in the penalty area to tap in the equaliser. Roma rejoiced, but Capello remained resolutely unflappable, choosing to watch on, stern look and arms crossed, as a title moved ever nearer. Ultimately, Montella’s poached finish would prove decisive. Roma held on to top spot ahead of Juventus, winning the league by a margin of two points. Rarely has the sense of grandeur that pervades Rome been mirrored by the performances of its two biggest football teams. Perpetually distracted by a hatred for one another, Lazio and Roma have generally failed to live up to their surroundings. But a bout of pragmatism between the late 1990s and early 2000s brought an end to the underachievement. Casting off preconceived notions of how the game ought to be played and employing two practical tacticians in Capello and Eriksson who were fascinated more by the realities they faced than by imagined ideals, the Scudetto, albeit temporarily, belonged to Rome.